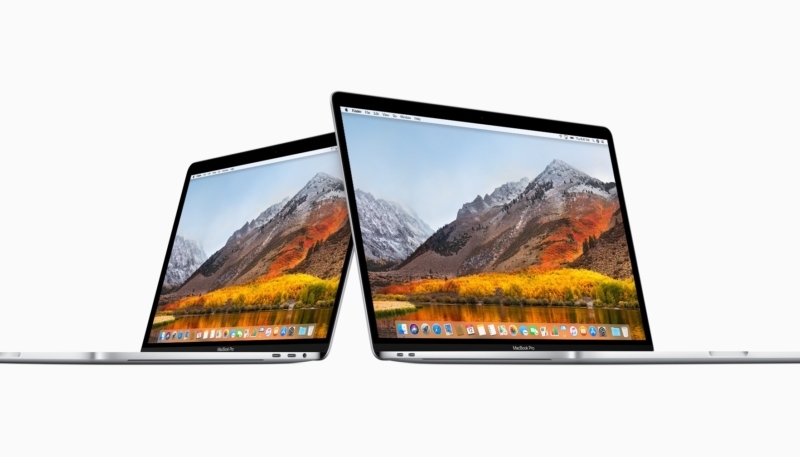 Apple on Tuesday released a supplemental update for macOS High Sierra 10.13.6, to address a bug that caused the eighth-generation quad-core and 6-core Intel processors in the 2018 MacBook Pro models to throttle when placed under heavy thermal loads. The update is only available for 2018 MacBook Pro models, and can be downloaded via the “Update” tab in the Mac App Store. The update is also available as a direct download. The update (build 17G2208) is not available for any other machines. The throttling issue was first discovered when YouTuber Dave Lee tested the top-of-the-line 2018 15-inch MacBook Pro with 2.9GHz Core i9 chip using Adobe’s Premiere Pro. Lee found that it wasn’t performing as well as a 2017 MacBook Pro with a Core i7 chip. Other tests by customers and the media lead to the same conclusion that there was an unusual amount of throttling impacting the new machines performance when it was under heavy loads. Apple discovered a missing digital key in the MacBooks’ firmware was impacting the thermal management system, dragging down clock speeds under heavy thermal loads. Today’s update addresses the issue. Apple has apologized to customers who experienced the throttling issues while using their new machines.